Document Status Update 2013-05-09: The Pointer Events Working Group has published a document, based on this Member Submission, that is intended to become a W3C Recommendation. This section describes the status of this document at the time of its publication. Other documents may supersede this document. A list of current W3C publications can be found in the W3C technical reports index at http://www.w3.org/TR/. This document was published by the Microsoft Corporation as a Member Submission. Implementations that use ECMAScript to expose the APIs defined in this specification must implement them in a manner consistent with the ECMAScript Bindings defined in the Web IDL specification [ WEBIDL ]. Physical screen pixels may be ineffective. For example, the physical size of the contact cannot be surmised due to varying pixel densities of devices (which are not always reported by the user agent). Further, it is generally impossible or difficult to correlate this back to CSS pixels in the document (which often are not at a fixed ratio to screen pixels due to zoom). The normalized pressure of the pointer input in the range of [0,1], where 0 and 1 represent the minimum and maximum pressure the hardware is capable of detecting, respectively. For hardware that does not support pressure, including but not limited to mouse, the value must be 0. The plane angle (in degrees, in the range of [-90,90]) between the Y-Z plane and the plane containing both the transducer (e.g. pen stylus) axis and the Y axis. A positive tiltX is to the right. 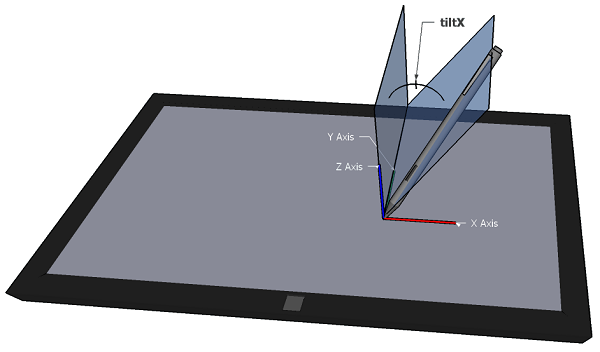 tiltX can be used along with tiltY to represent the tilt away from the normal of a transducer with the digitzer. For devices that do not report tilt, the value must be 0. Should this be a string rather than enumerated constants? What about extensibility? If the pointerId provided as the method's argument does not match any of the active pointers, then the user agent must throw a DOMException with the name InvalidPointerId. If pointer capture has not been set for the pointerId provided, then this method fails silently. The maximum number of simultaneous touch contacts supported by the device. In the case of devices with multiple ditigizers (e.g. multiple touchscreens), the value must be the maximum of the set of maximum supported contacts by each individual digitizer. The vast majority of web content existing today codes only to Mouse Events. The following describes the algorithm for how a user agent must map generic pointer input to mouse events for compatibility with this content. Unless otherwise noted, the target of any mapped mouse event must be the same as the target for the pointer event from which it was mapped. 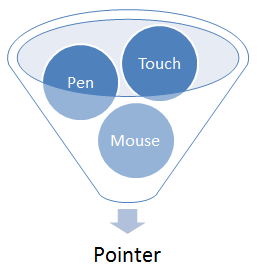 if the pointer has been moved onto the boundaries of an element or one of its descendents then dispatch a mouseenter event. if the pointer has been moved out of the boundaries of an element and all of its descendents then dispatch a mouseleave event. The condition when a pointer has a non-zero value for the buttons property. For mouse, this is when the the device has at least one button depressed. For touch, this is when there is physical contact with the digitizer. 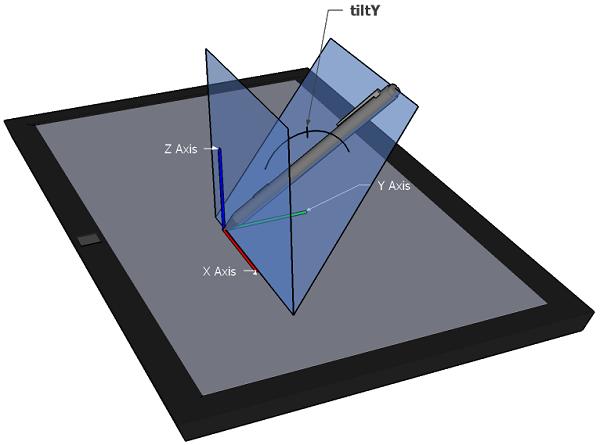 For pen, this is when the pen has physical contact with the digitizer.